I am building a Dolly MK2 clone and have been exploring alternatives to buying an aluminum Y-carriage frame or cutting one from plywood. An aluminum one costs somewhere around $30-$40 USD on AliExpress, and I feel like cutting one from plywood that looks decent is going to try my patience. 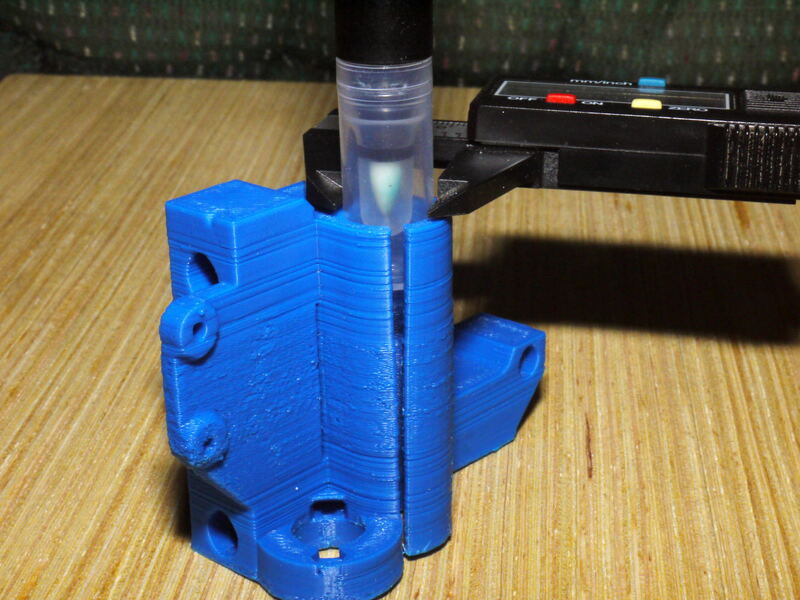 This got me to wondering if I could print one in pieces - I found a couple designs (a four piece and a five piece design) on Thingiverse and thought I would try my luck. I printed the four piece design first, and after cementing it together with cyanoacrylate glue and acetone, I discovered it was too small! The center-line distance from smooth rail bearing slot to smooth rail bearing slot was only 157mm instead of the 170mm I was expecting. holes and the bearing slots of the two designs matched up nearly perfectly with each other. That's when I realized that ABS shrinks after printing. Not just a little, but a LOT. 6%-7% in fact, at least for the Inland blue ABS I am using. I am now in the process of re-printing the five piece design (I think it's more rigid and better engineered) scaled up by 7% to compensate for the shrinkage. So far I only have the center piece done, but its dimensions are almost exactly what they are supposed to be. OK now for my real dilemma - what about the complete set of I3 printer parts I have already printed? Guess what: they are ALL 7% undersized. Some of the parts I think I can salvage; for example the Z-axis stepper motor mounts have holes 29.3mm on-center instead of 31mm. They are thin enough I am pretty sure I can just drill those out a little larger and make them work. 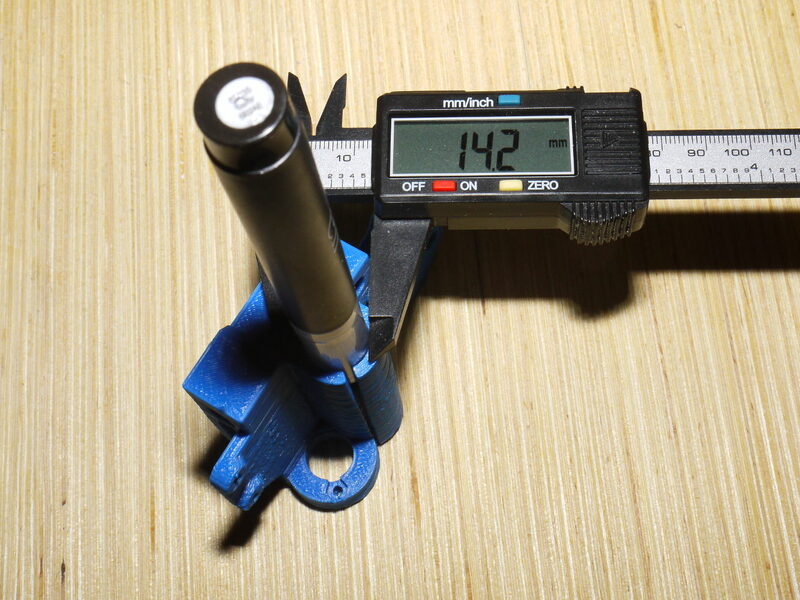 But I think the X-axis end pieces are going to have to be scaled up and re-printed; the hollow cylinders that the LM8UU bearings need to fit into are only 13.6mm in diameter. I know it's designed to be an interference fit, but I don't think there is nearly 1.5mm of leeway to play with. 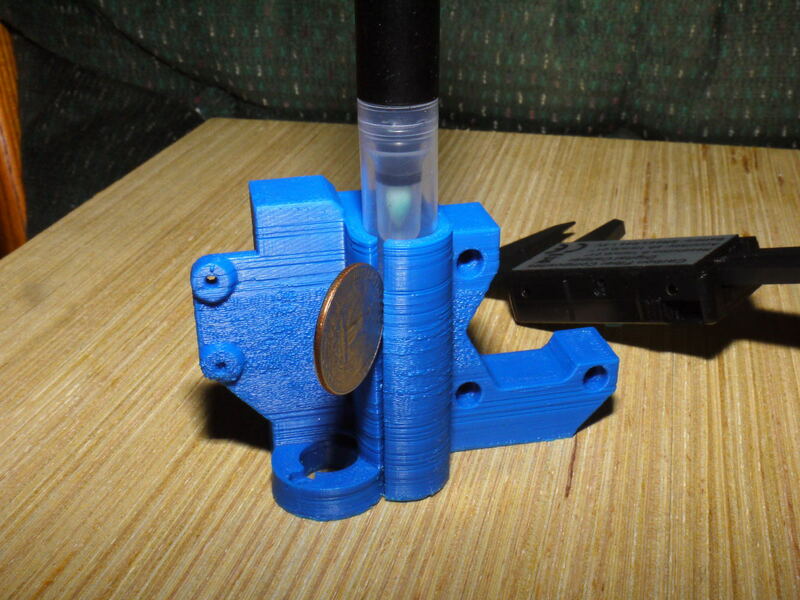 The extruder body is too small as well and will have to be reprinted; There just isn't any way I am going to be able to enlarge the holes for the extruder stepper mount and make it work. So kids, the moral of the story here is that if you intend to print your I3 clone parts out of ABS, make sure you allow for shrinkage! 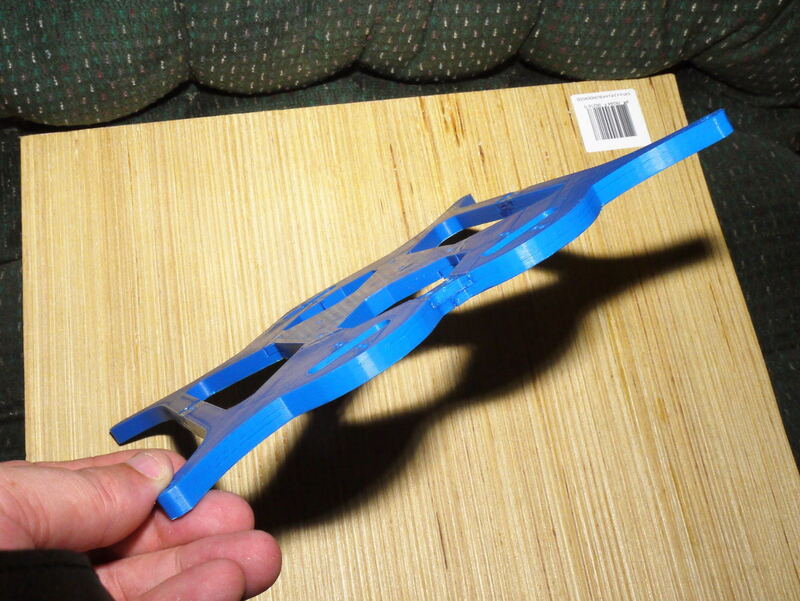 You might want to print out a long rectangular bar of a known length on each axis of your printer first, so you can calculate what your shrinkage is going to be BEFORE you spend 26+ hours printing all of the pieces, only to discover they are all too small. I've built several clones using ABS parts. I agree that the tolerances aren't the best. But, I also redrilled almost every hole in my plastic. I would not sweat the shrinkage too much as there is some degree of variance allowed for in the design. BUT, I suspect you may be unhappy with a plastic y-carriage. It should be as rigid as possible and it will have to endure the stresses of an expanding and shrinking hotbed. I'd stick with the plywood (mine are 12mm birch). If you have access to a drill press, you can cut out the corners of all the holes very neatly and then finish the job with a jigsaw or scroll saw. Also, it will be mostly covered so making it pretty shouldn't be a big concern. 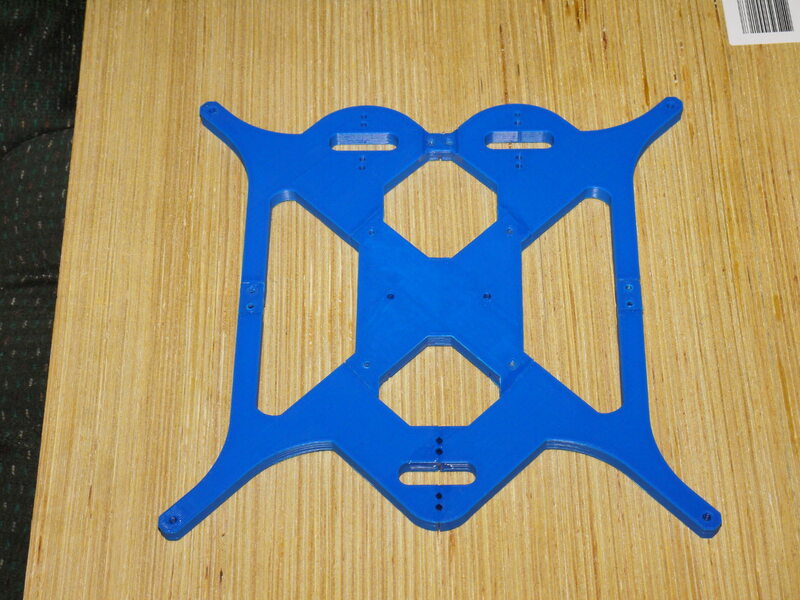 Keep in mind that as long as the mounting points for the aluminum and bearings are correct, the rest of the frame could be any shape you choose. The 3D printed Y-carriage is surprisingly rigid; I added an extra 2mm to the part thickness and printed them 8mm thick. No, it's not NEARLY as rigid as 1/2" plywood would be, but it's not unacceptable. I think I am going to take your advice and cut one from plywood. I do have a really nice template to trace around, though! As far as the 3D printer pieces go, the prints are just way too small. There is no way I am going to be able to salvage them. Look at the pictures below: That is supposed to grip a 15mm bearing and I can BARELY jam a 14.2mm cylindrical object into the hole, and THAT is with a very wide expansion gap. The y-frame actually looks pretty good! As for your z-bearing pieces, I can see what you mean. There may still be a small span of plastic at the top that bridges the gap of the "C" shape. Cut it. Your bearings should fit. I did quite a bit of sanding and re-boring to make everything work properly. I also beveled the rim to make it easier to insert the bearings.